What is a comeback? The truth is I have no idea. I have started to write a new post a billion times in the last year or so, but the reality is that I have not been sure that I have anything left to say that might inspire others to be healthier. 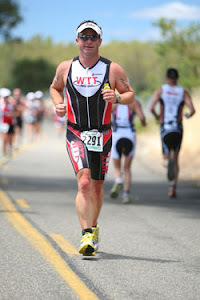 - I am terminally short and around 12 years ago I was way out of shape and fat. - My great neighbor (Jurgen) told me I was fat and too young to be that way. 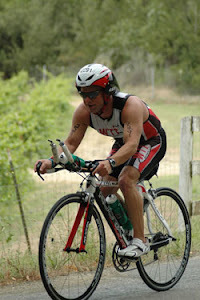 - I decided to try my hand at a sprint triathlon and started training right before my first daughter was born. - That first year began a journey that helped me lose weight and get fit. Over the course of a few years and some bad advice from my training and travel partner (Jerred) I got healthier and have traveled the country racing. - This lifestyle became a purpose to help others the day my Dad died in January of 2009. - I started this blog to show others that normal people have to learn to fight for your health no matter your background. - I push myself more and more to the point that I wasn't "healthy, " and I ignored many of the signs my body was telling me to rest. - I went through a workout with some friends and put myself in the hospital with rhabdo, and for the first time in a very long time I had no other choice but to rest. Now that we are all somewhat caught up. Let's talk about what's been going on since the last post. I battled extreme fatigue for more than a year, and when I finally felt good enough to workout, even a little, it would put me down for a few days. Then a rare eye issue that I have battled for more than ten years became unmanageable. The simplest way to describe the issue is that my eyes get so inflamed the cornea will swell making my vision go blurry in one eye or both, and not to mention I look like I haven't slept in a week and have been drinking. Now I rarely have talked about my job or my family on here to mainly respect their privacy, but our reality is that the last few years we have dealt with an unknown medical issue with one of our girls. So between my own issues, our family issues, and stress from my job we have felt like many days we are just surviving. As much as I have wanted to write about a comeback it just hasn't materialized the way that I thought that it would. I just knew that I would just wake up one day, and we would be right back to where we were at before. That's not how life goes. The reality is that we all have season's and some season's last longer then other's, and some season's change you forever. Many of those times you have to also realize that you can't always tough it out and fight on your own. We all will need help. The only thing that I can now guarantee is that we will all go through good times, and we will all go through bad times. When you can you have to make the time to improve yourself physically, mentally, and spiritually. When the time comes that you have to fight you want to be in the best position to fight. So go out there and fight! P.S. If you are still out there let me know. As you can see from the results page I am back to running in organized races again. You notice I didn't say racing. Besides my family a lot of me getting back to some level of physical and mental fitness is because of Nicole Adams with http://cnsathlete.com. She not only has helped me get my head straight (as much as that is possible), but she is getting me back on the road to feeling like an athlete again. I am scared to death to tell you that I am running next weekend in the Mayor's Marathon here in Lubbock. This is a goal that is beyond my abilities and reach right now, but I am so excited to have it here in Lubbock that I had to try. Preparing for this is what has finally relit by passion for inspiring others. I'll update soon I promise!